What can a small upstate New York county reveal about the entire United States? 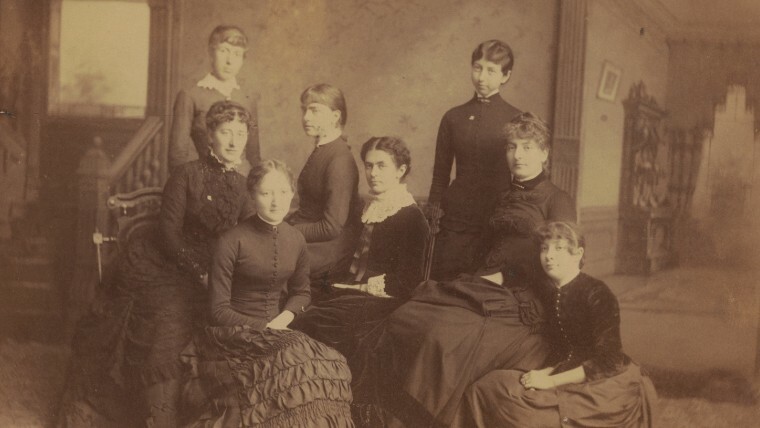 Suffrage was a prominent issue on campus and was a topic of debate for students like these Kappa Alpha Theta sisters. “A local study allows us to watch, as if sitting beside a game of chess, as people and ideas and arguments moved from square to square, as the people of Tompkins County participated in the process of becoming modern,” they wrote in the introduction of the book, published in January by Cornell University Library. Kammen, the Tompkins County historian, and Engst, the former Cornell University archivist, began collaborating on the book when they did a talk and curated an exhibit at Cornell in 2017 to commemorate the 100th anniversary of the passage of the New York state suffrage. In Achieving Beulah Land (whose title refers to a biblical place of equality often invoked by suffragists), Kammen and Engst chart many connections between town and gown, and between state and nation. The struggle for equality on campus and beyond, by students and alumnae, is linked to the achievements of their counterparts today, according to Engst. “The book features Edith Anna Ellis, Class of 1890, who was the first woman to run for office in Tompkins County [in 1918] and Harriet May Mills, Class of 1879, who was one of the early women to run for a state office in New York [in 1920]. They are the predecessors of the three distinguished Cornell alumnae recently elected to serve in the U.S. Congress,” Engst said, referring to Sharice Davids, JD ’10, Katherine Clark, JD ’89, and Elissa Slotkin ’98, who were among five Cornellians elected to Congress last Nov. 6. “Achieving Beulah Land” drew, in large part, from the archives of Cornell University Library’s Division of Rare and Manuscript Collections and the History Center in Tompkins County. The book is available at the Cornell Store and at Buffalo Street Books.